Macon, Ga. – Georgia Bikes, a nonprofit organization working to promote and improve bicycling throughout Georgia, is hosting its eighth annual statewide conference, the Georgia Bike Summit presented by Bike Law Georgia, from September 29 to October 1 in Macon. The Saturday conference will take place at the Macon Marriott City Center, with other events taking place across Macon during the weekend, including Open Streets Macon on Sunday October 1. Under the theme of “Bikes at the Heart of Safety, Health, and Opportunity”, the 2017 Georgia Bike Summit will convene elected officials, transportation and tourism professionals, community leaders and citizen advocates for a weekend of networking and resource sharing. During the Summit, workshops and speakers will address policy, funding, and infrastructure issues that can help communities interested in sustainable development and improved quality of life. The main conference occurs on Saturday, September 30th, and will feature workshops on topics such as creative funding for bicycle infrastructure to local youth bicycle programming to the health benefits of bikeshare. Summit sponsor Newtown Macon will lead a demonstration of setting up a pop-up bike lane (similar to Macon Connects) on Saturday morning outside the Macon Marriott City Center on Coliseum Drive. The Saturday main speaker is Nedra Deadwyler, Safety Education Programs Manager with Georgia Bikes and founder of Civil Bikes in Atlanta; she will engage the attendees on re-thinking bike education at the state level. 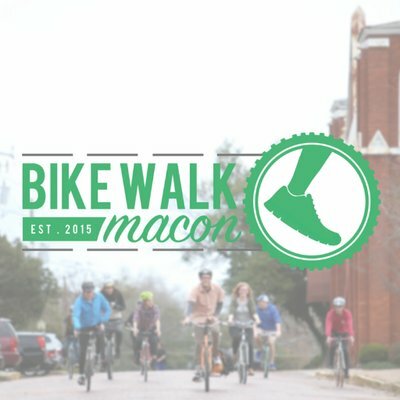 Summit attendees can attend Bike Walk Macon’s Open Streets Macon event on Sunday from 2-6pm, starting at the corner of Montpelier Avenue and College Street. Who - All bicycle advocates and friends from across Georgia and beyond! Friday night - 6:30PM - Casual ride/bicycle tour of Macon with Bike Walk Macon, meet at Just Tap'd - 488 1st Street in downtown Macon. We will have bikes available for attendees who can't bring their own. Can't make it to the ride? We will return to Just Tap'd at 7:30PM for a pre-Summit social event. - 8:30PM - Unwind after the day's sessions at the Bearfoot Tavern (468 2nd St). We'll have a private room for Summit attendees to relax and catch up.